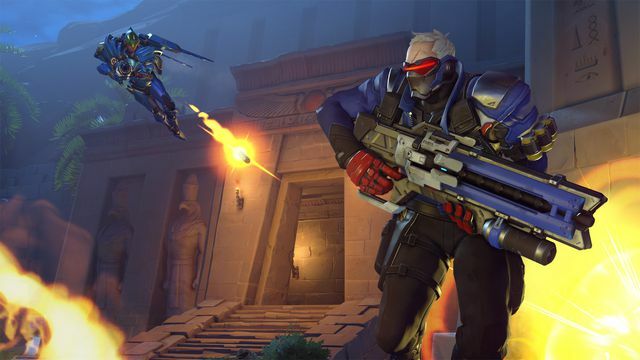 In a new short story titled “Bastet,” Blizzard Entertainment confirms that Soldier: 76 (aka Jack Morrison) is the second LGBTQ character in the Overwatch universe. 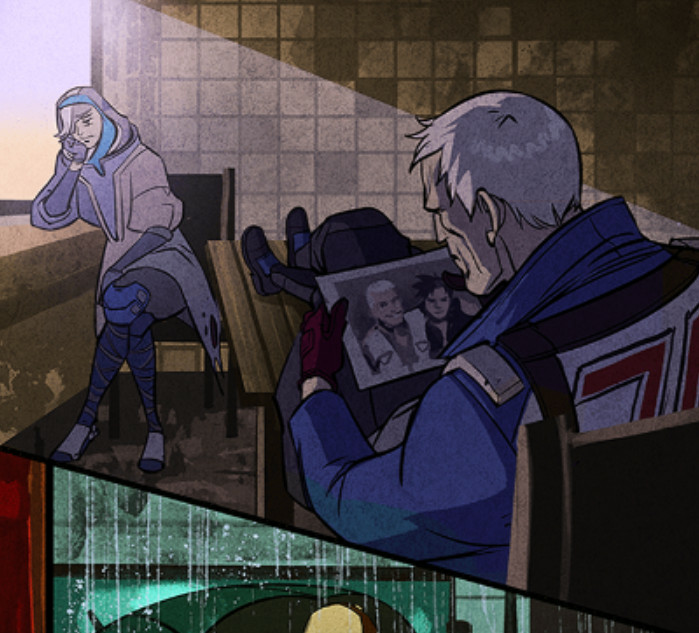 Former sniper Ana comes across a wounded Soldier: 76 in the streets of Cairo, and takes him back to her hideout. It’s the first time they’ve been reunited since the explosion rocked the Overwatch headquarters in Switzerland — neither of them knew the other one was alive for sure until now. She catches a glimpse of him going through a few photos, and sees an old one of him with a dark-haired man named Vincent. “You’ve never looked in on him? You must have been curious. All the surveillance power in the world. I bet Gabe would have put a Blackwatch agent on him if you asked,” Ana said. “Relationships don’t work out so well for us, do they?” Ana said, unconsciously running her thumb over where her wedding ring used to be. The announcement comes a little over two years after an Overwatch comic revealed Tracer spending Christmas with her girlfriend Emily. 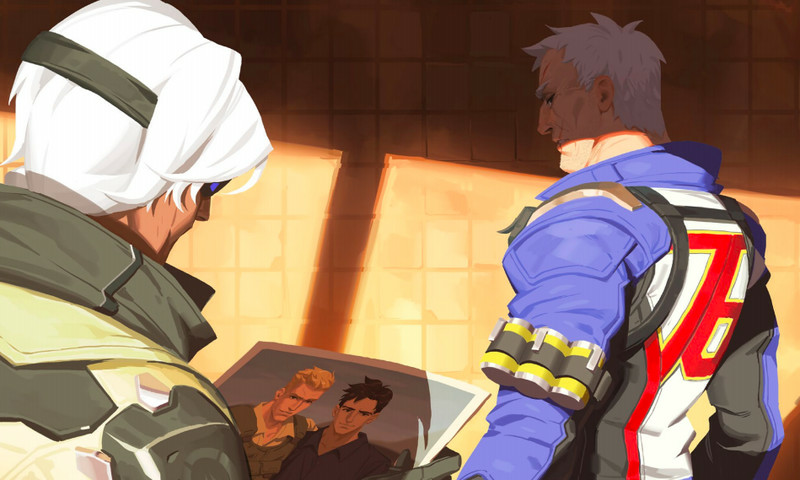 However, if we take a closer look at the same comic, we can make out a panel of Soldier looking at what appears to be the same photograph referenced in the “Bastet” story. Outside the cinematics, this is the first big chunk of Overwatch lore players have gotten in a while, and also the first time we’ve seen anything about Soldier’s personal life. Update: A tweet from lead writer Michael Chu confirms that Soldier identifies as gay.